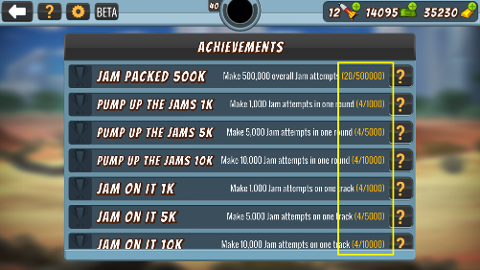 Make 1,000, 5000 or 10 000 Jam attempts in one round. All of these attempts must take place on the tracks in a single round. Every time you start or re-start, it counts as an attempt. There must be at least five seconds between each restart!